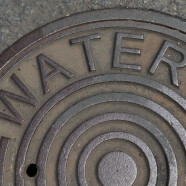 SAN FRANCISCO–California’s largest regulated water utilities invested more than $645 million in 2017 into improving and upgrading the infrastructure that delivers water to the communities they serve, according to an analysis by the California Water Association (CWA). CWA represents 100 water utilities regulated by the California Public Utilities Commission, serving 6 million people in California. The largest regulated water utilities include California American Water, California Water Service Company, Golden State Water Company, Great Oaks Water Company, Liberty Utilities, San Gabriel Valley Water Company, San Jose Water Company and Suburban Water Systems. The American Society of Civil Engineers in its 2017 Infrastructure Report Card notes that there are an estimated 240,000 water main breaks per year in the United States, wasting over 2 trillion gallons of treated drinking water. And, according to the American Water Works Association, an estimated $1 trillion is necessary to maintain and expand drinking water service to meet nationwide demands over the next 25 years. California Water Service Company (approximately 519,000 service connections throughout the state) invested $250.6 million in 2017. This investment included replacing more than 23.7 miles of water mains, installing 16 generators and constructing three tanks, one groundwater well and four booster pump stations. Golden State Water Company (approximately 261,000 service connections throughout the state) invested approximately $110 million for infrastructure projects in 2017. Key projects included more than $65 million to replace approximately 39 miles of aging pipes throughout its 38 water systems, more than $4.3 million to address water supply, treatment and distribution needs in the drought-stricken Los Osos and Santa Maria service areas, and nearly $750,000 to install state-mandated water meters in the Arden and Cordova water systems near Sacramento. San Jose Water Company (approximately 224,000 service connections in Santa Clara County) invested approximately $140 million in its water system in 2017. This amount included $20 million to retrofit its Montevina Water Treatment Plant, one of the primary water supply sources for the Town of Los Gatos and surrounding communities. The retrofit involved adding a new step to the treatment process, replacing old sand filtration with ultra-filtration membranes, and other needed upgrades. California American Water (approximately 188,000 service connections throughout the state), invested nearly $88.1 million throughout its districts statewide in 2017. Projects included replacing and improving water mains, construction of new storage reservoirs and new water treatment facilities to improve water quality and meet new regulations. San Gabriel Valley Water Company (approximately 104,000 service connections in Los Angeles and San Bernardino Counties), invested $19.9 million in its two divisions in 2017 for infrastructure improvements, including a new groundwater well and a water storage reservoir, as well as more than 12 miles of new water mains. Suburban Water Systems (approximately 76,000 service connections in Los Angeles County), invested more than $16 million in 2017. This included the investment of approximately $5.7 million to prepare the site for three above-ground steel reservoirs, which included the construction of retaining walls, the tallest being 17-feet high. Liberty Utilities (approximately 52,000 service connections in San Bernardino and Los Angeles counties), invested more than $19.6 million in its Apple Valley and Los Angeles County service areas, including replacing more than four miles of water pipeline at a cost of $3.7 million in Apple Valley. Great Oaks Water Company (approximately 21,500 service connections in Santa Clara County), invested approximately $1.5 million in 2017, adding scheduled improvements to its water supply sources and distribution system. Great Oaks also added significant improvements to its water system control and data acquisition capabilities that will produce immediate efficiency and conservation benefits. Find more information about CWA and its members at www.calwaterassn.com.